Karthi Chidambaram has also been implied in the Airtel-Maxis case. Indian National Congress, who had been given 10 seats in the DMK led alliance announced its candidates’ list for Tamil Nadu. The Congress list that features Karthi Chidambaram has turned out to be quite controversial. The list includes former party heads, Su. Thirunavukkarasar and E.V.K.S. Elangovan. 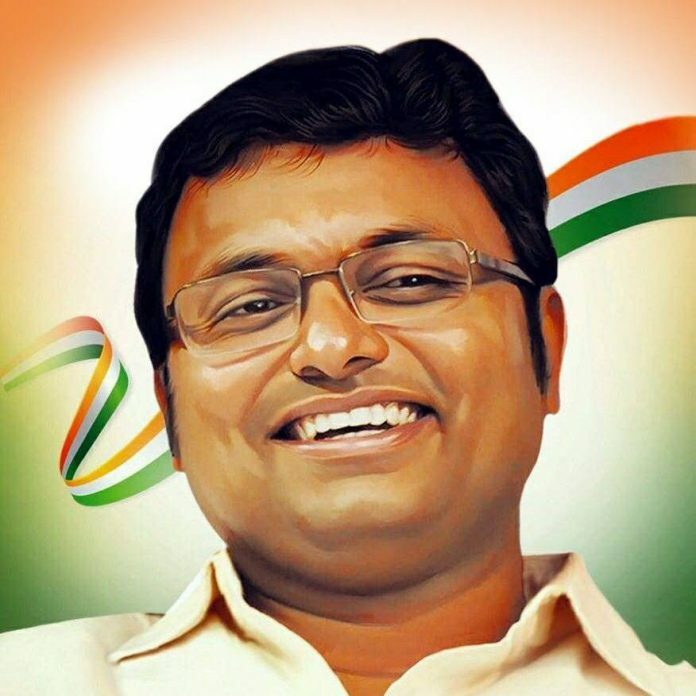 Karti Chidambaram, son of P.Chdambaram will be fielded from Sivaganga constituency. He had stood for 2014 elections from the same seat however could not win. Karti Chidambaram had also been implied in the Airtel-Maxis case. “I am deeply honoured that our party has decided to field me as its candidate in the Sivaganga constituency. Grateful to the Congress President Rahul Gandhi and the AICC for giving me this opportunity” responded Karti in a tweet. He also added that the “strength of the party and the alliance” will help him win the Sivaganga seat. Karti Chidambaram will be facing H Raja of BJP. However, many within the party disagree with his candidature. Referring to the Congress veteran Chidambaram and his family, Former Union Minister EM Sudarsana Nachiappan said, “As far as I know, people hate that family. The family didn’t do anything for the constituency but have bought properties in other countries. Karthi is an accused under corruption charges and we don’t know what is going to happen in the court now. But he is going to file nominations. Just imagine what a bad name it will bring to the Congress.” Nachiappan was also considered for Sivaganga seat from Congress. The state votes for 18 assembly seats and 39 Lok Sabha seats in the second phase on April 18. The results will be declared with the rest of the country on May 23. Next articleCongress v/s NR Congress, in Puducherry LC Polls.